Pre season scouting and preparation is a great idea. Being prepared gives any hunter a great advantage. Knowing deer habits, travelways, primary scrape areas, food sources, funnels, and typical rubline locations ahead of time are all an important part of the success equation. However, sometimes things do not go as planned. You may find yourself in a situation where your early preparation did not work out as planned. You may not be seeing any deer or fresh sign and the rut is swiftly approaching. It’s prime time of the year and the scrapes and rubs you anticipated are not showing up, and everyone else is bragging about all the sign they are seeing. Maybe life’s responsibilities got in the way of preparation this year and there wasn’t any time to prepare. Your buddy may have called you up and invited you to come along and hunt some brand new property. No matter what the reason, sometimes going in blind is needed, and at times can even give you an advantage. One of the main advantages of going in blind is the element of suprise. While going in blind, you are potentially hunting an area that has been left alone all season. No hunting pressure means the deer may be more relaxed and possibly more likely to show up at daylight. Many times this strategy can mean big buck sightings on the first hunt, provided that your stand is in the right location. 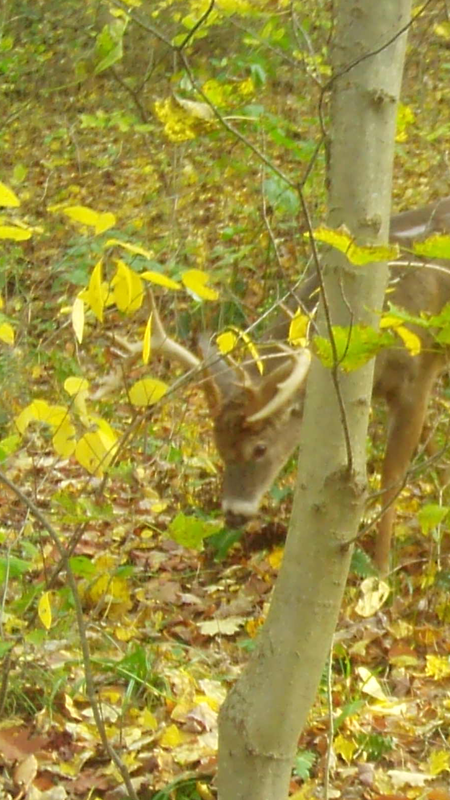 Look for fresh sign, and signs of recent buck activity if hunting during the pre rut and rut phases. Add a good funnel to to the equation if at all possible. To help remain undetected, put your stand or blind up during mid day, and if possible during a rain. You want to enter the area when it is least likely to spook deer. Also, try to avoid bedding areas, unless of coarse, if you want to go all in and make a big gamble by trying to catch a buck on his way to bed. Aerial and topographical maps can help you scout a property from your own home. These maps can tell you the lay of the land, show fields, woods, thickets, funnels and bodies of water. You will most likely still have to do scouting in the field to fine tune your discoveries, but using maps can narrow things down. If things aren’t panning out as planned during your hunting season, don’t be afraid to take action and try going in blind. It is one of many effective methods for outsmarting mature whitetail bucks. With the right approach, it has the potential to really pay off.